Traditionally in Japan, the young bushi were not taught the fighting techniques by their father but by one of their uncles. The reason for that is that an uncle was less likely to listen to the screaming of the kid. Learning Budô is painful and as Sensei said once: “if you don’t like pain, then don’t train Budô”. But we can imagine that things were even tougher for a young kid in 19th century Japan. We know from the stories told by Hatsumi Sensei, that Takamatsu Sensei’s nickname, when he was a kid, was 泣き味噌, nakimiso (crybaby). We also know that Takamatsu’s father was often mad at him for not showing the courage expected to be found in a kid descending from a bushi family. His father was very strict and the young Takamatsu was often physically punished. This was common practice at that time (19th century). Takamatsu’s father wanted his son to join the army and thought that he needed some training before joining the academy, and for that reason, decided to send his son to Toda Sensei’s “Shinden Fudô Ryû Jûtaijutsu dôjô”. Takamatsu began his training, reluctantly but with consistency. He was 9 year old only when he began his training with Toda Sensei. He would join training every day after his day at school. The way trainings were conducted at that time was tough and painful. Hatsumi Sensei’s said that even though Takamatsu was a small kid (weak), he was treated by the older students as if he was a grownup, and that he spent his classes being hit and thrown all over the dôjô. The name Toda Shinryûken Masamitsu is known to all of us in the Bujinkan. He was an instructor at the Tokugawa Military Academy in Nakano-cho in Kyoto* and retired (or resigned) for political/ethical reasons**. He taught at his Shinden Fudô Ryû Jûtaijutsu dôjô supposedly until he died in 1909. When Takamatsu (nakimiso) joined in, Toda Sensei was already very old (1818-1909)***, being 70 years older than the young Takamatsu. But there is something that many practitioners don’t know. Toda Sensei was Takamatsu’s uncle and not his grandfather who died before he was born. This “grandfather” error stems from the fact that in japanese 祖父, “oji”, grandfather sounds exactly the same as 伯父 “oji”, uncle. I guess that the first westerners in Japan who heard the story understood it wrong and since then the error is repeated all over the net. But if you have read Hatsumi Sensei’s books or attended classes in Japan, you should know. This “Toda sensei was Takamatsu’s uncle” was told to us during a break by Nagato Sensei. (spring 2012). “By the way, as you know, I was taught ninjutsu by my uncle, who used to belong to the samurai class of Iga province”. In “Essence of ninjutsu” by Hatsumi Masaaki, p17 (english edition), Contemporary books, 1988. “Takamatsu sensei often said that between training sessions with his uncle, Toda Sensei, he was made to copy out Toda Sensei’s densho”. In “Unarmed fighting techniques of the Samurai”, by Hatsumi Masaaki, p168 (1st edition English), Kodansha International, 2008. Please read Hatsumi Sensei’s books thoroughly and not only between the lines. And when you have a doubt, ask Sensei directly he will gladly give you the answer. * This is not to be mixed with the “famous” Nakano Academy in Tokyo created in 1938. 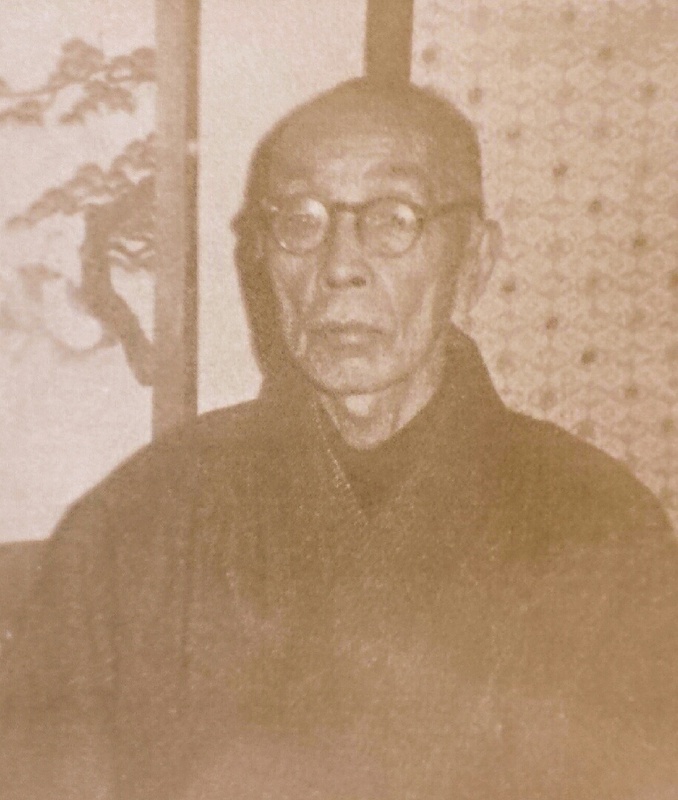 **Takamatsu sensei’s own teacher, Toda Shinryûken – the 32nd grandmaster of Togakure Ryû Ninpô- taught Budô as chief instrutor at a martial academy in Kyôto, and enjoyed an excellent reputation. He was asked to do this by Matsudaira Noriyasu (1794-1870), one of the Shogunate’s senior councillors. However, political changes meant that Matsudaira Noriyasu lost his position, and Toda Shinryûken immediqtely left the academy, traveling around the kinki area, keeping his whereabouts hidden. He never again took up an official post”. by Hatsumi sensei, in “The Way of the ninja”, (1st edition, English, p27, Kodansha publishing, 2004. ***some other source say 1824-1909.